And negotiations won’t happen, secondly, because the regime won’t release the detainees, not yet at least. If it did release all 160,000, this would indeed be a sign that it had understood it could no longer torture, imprison and kill the Syrian people. It would be a reasonable starting point for negotiating the transition. Why has the SNC been so reluctant to negotiate thus far? First there is the obvious moral point that a regime loses its legitimacy when it prosecutes war against its own people. As a criminal and a traitor, it forfeits its right to engage in national dialogue. The point is correct, but in the face of such vast tragedy a moral point is not sufficient. It may be a stubborn and ultimately irresponsible idealism which clings to moral principle while a land, a people and their future are burning. A much more intelligent motive for opposing negotiations is hard-nosed realism. In April 2011 a Presidential Decree lifted the Syrian Emergency Law, dissolved the notorious State Security Courts, and legalised peaceful protests. The next day, ‘Great Friday’, a lawyer asked permission to hold a protest in Hasakeh. He was immediately arrested by the security forces to whom he made the request. By the evening, at least 88 unarmed protestors had been murdered. At this early stage Bashaar al-Assad lost credibility with a vast swathe of Syrians. If they didn’t before, they knew now that all talk of legal reform was irrelevant, because Syria is not run according to laws and institutions but by the Assad family and its unaccountable security agencies.The law, like the parliament and cabinet, is a fiction, a theatre. 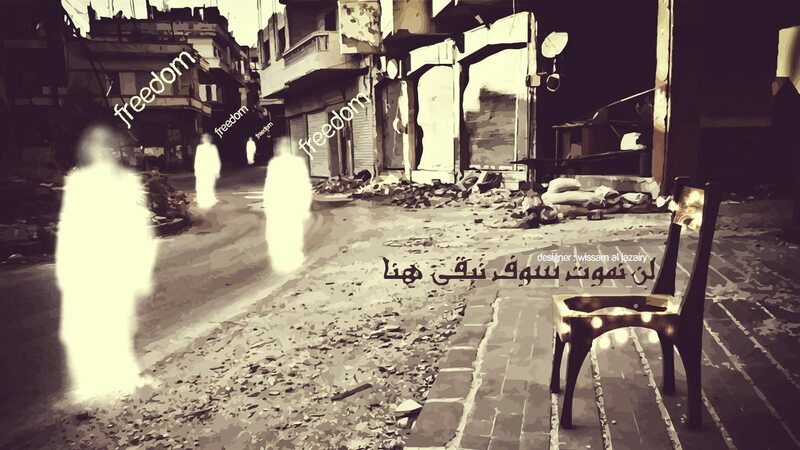 Syrians learnt to watch what the regime did rather then what it said. It released Salafists from prison and murdered the proponents of non-violent protest. It unleashed shabeeha militias and instrumentalised sectarian tension. It savagely bombed some liberated areas but withdrew from Kurdish areas without a fight, even handing weapons over to PKK-linked militias. It applied a scorched earth policy which has negligible military effect but destroys any possibility of social or economic rebuilding. Actions speak louder than words. The regime’s aim is not to negotiate a transition but, if it can’t retain total power, to create a splintered and permanently ungovernable country. In this way Assad hopes to survive as a warlord among warlords. Talking about talks provides him with time while distracting attention from his real aim. So why is Moaz al-Khatib shifting position now? Probably because he sees no sign of the Coalition receiving the funds or arms it requires. The EU continues to embargo arms to the opposition; the US continues to prevent its Gulf allies from sending the necessary anti-tank and anti-aircraft weaponry. No funds for the SNC means extremely limited relevance on the ground. And the SNC doesn’t help its own cause – it still hasn’t named a transitional government. Yet with resistance advances in the north, east and now south, the military tide is flowing steadily against al-Assad. Continuing reverses may allow the regime’s more intelligent minds to prevail over the bitter-enders (though to anticipate this would be naive). Al-Khatib’s meeting on Saturday with Russian foreign minister Lavrov may or may not be a sign that Russia, finally recognising that Assad will never regain control of Syria, is about to twist regime arms towards serious, rather than theatrical, negotiations. Al-Khatib now says he’s been invited to Moscow. It remains to be seen whether the regime will eventually negotiate its own exit. In the meantime, al-Khatib and the SNC, who have made efforts to reach out to regime soldiers and minority groups, should do still more to address those who are tied to the regime not by ideology but by fear of the future. Syria’s future stability depends much more on understandings with those people than with the regime which currently holds them hostage.